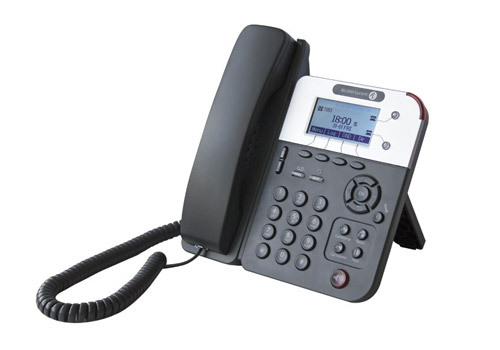 The Alcatel-Lucent 8001/8001G DeskPhone is a cost-effective, business-grade phone offering SIP telephony for essential communications. 8001/8001G graphical display can show up to five lines of text simultaneously, and 8001/8001G features an elegant user interface and clear operations to provide an excellent user experience. Moreover, the Alcatel-Lucent 8001/8001G DeskPhone creates a unique, vivid audio experience. Its rich business functions greatly improve work efficiency.